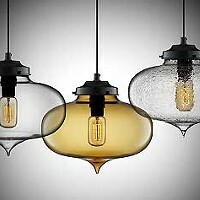 Good lighting makes the mundane beautiful and makes the beautiful stunning, and Niche uses 2,700-degree Kelvin bulbs in their handblown glass fixtures and chandeliers for that soft, white-gold glow. But the warmth is deeper than that. "It's not just the temperature of the light that's warm, it's the pay-it-forward mentality," says Creative Director Jeremy Pyles. 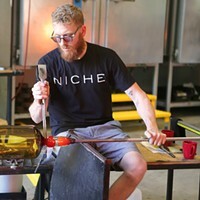 "People find us online or in a magazine and don't realize everything is done in-house and hands-on right here in Beacon, by a close-knit team of 22 people. 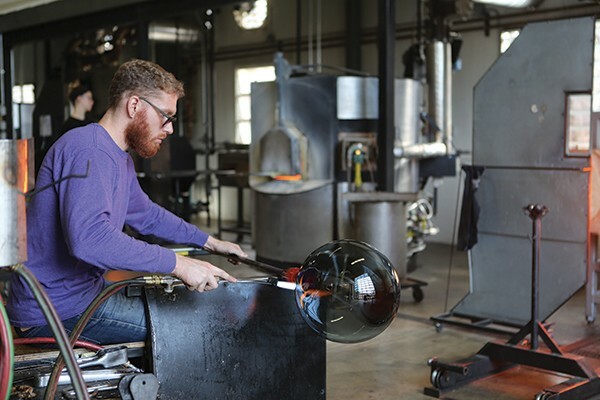 Supporting living American artists and makers is crucial to us. You might pay a little more, but you get so much more. 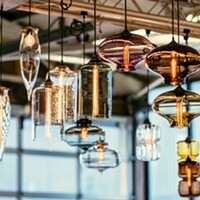 We're serious about that and about being good neighbors—people who come up for day one of the warehouse sale we're having June 11 and 12 won't just get 50 to 80 percent off amazing lighting, they'll get to enjoy Beacon during Second Saturday."